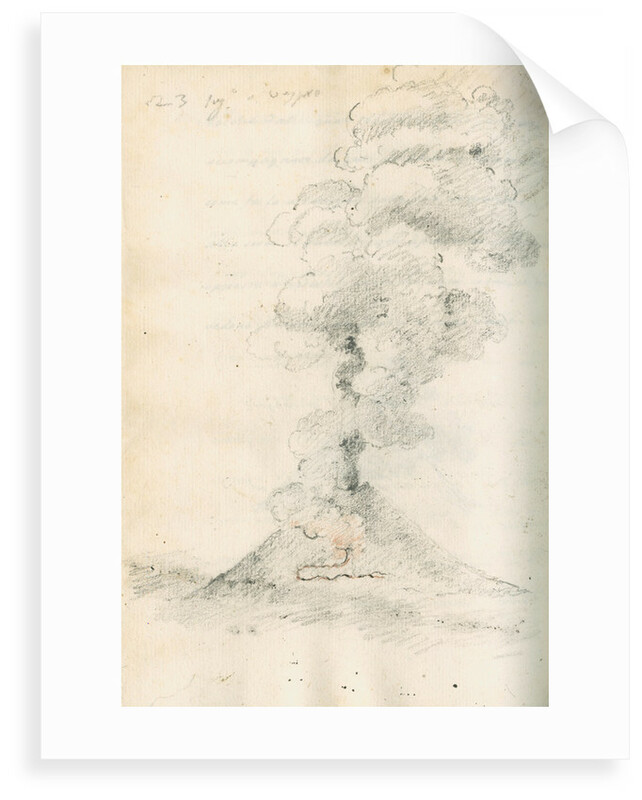 Study of a lava flow on the slopes of Vesuvius during an eruption, with the volcano generating a high plume of smoke and ash. 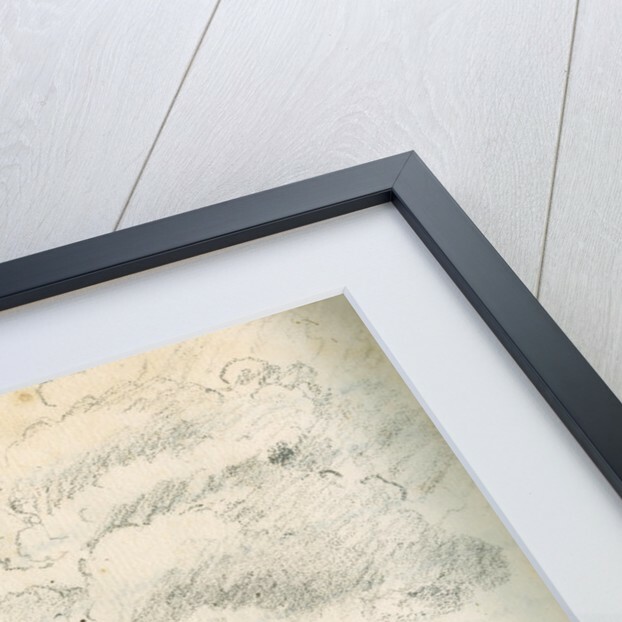 The colour and direction of flow are highlighted with coloured chalk and ink. 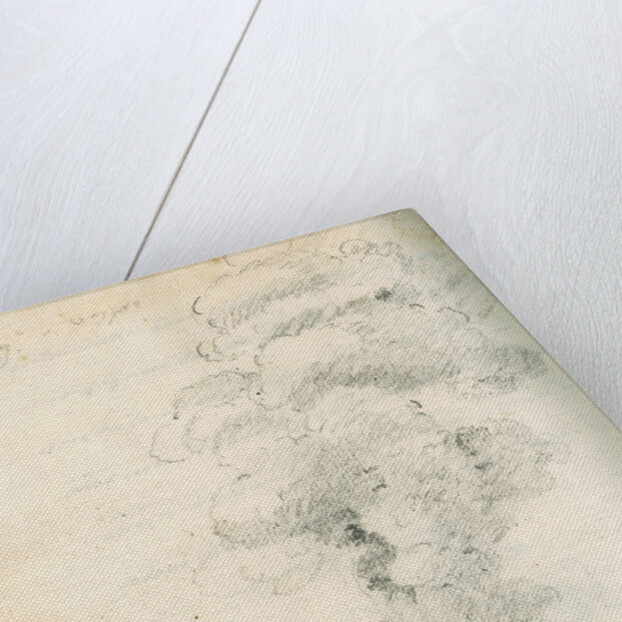 Faintly inscribed in pencil, top left. 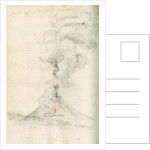 An observation of volcanic activity at Mount Vesuvius near the Bay of Naples, Italy, made by the artist on behalf of Sir William Hamilton. 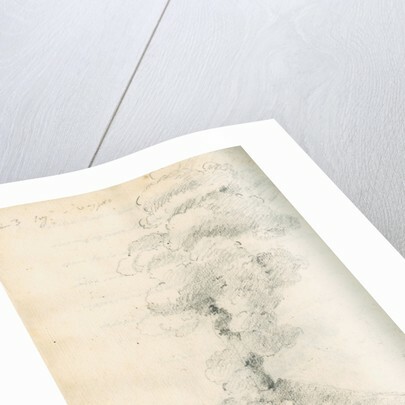 From volume 5 of Piaggio's notebooks for the period 1787-1792, within a section commencing "Lava dell' anno 1791".